The Cascade Culinary student pledge helps students stay focused and achieve their education and career goals. 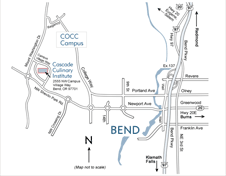 "Cascade Culinary Institute provides rigorous instruction and assessment for those passionate about successful careers in Culinary Arts or Baking & Pastry Arts. CCI curriculum is designed to enable graduates to demonstrate technique mastery and to serve as future industry innovators." "I believe that I received the best education possible of any (culinary) program in the U.S."